Very nice clean approx. 1,484 sq. 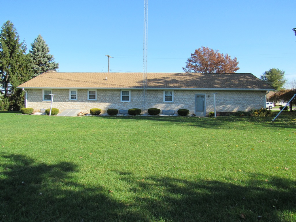 ft. 3 bedroom 1 ½ bath white brick rancher home w/ attached oversize 2 car garage on approx. .60 acre corner lot. Home located on corner of Linden Ave. & Kindig Lane. Nice extra wide blacktop driveway, full grown trees & shrubs. Home has newer roof, newer replacement windows & newer entry doors. Home has nice oversize attached 2 car garage w/ newer insulated double overhead garage door w/ opener, finished paneling walls & finished ceiling w/ drop down stairs to storage area above. Garage has front door entry-rear entry & entry from kitchen. 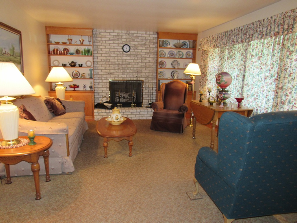 Home has full 2 room basement w/ finished family room & large furnace storage room, Belco door outside entry & stairs from kitchen, newer York Stellar Plus gas furnace w/ electronic air cleaner & humidifier & central air conditioning, circuit breaker electric, newer 60 gal. gas hot water heater. 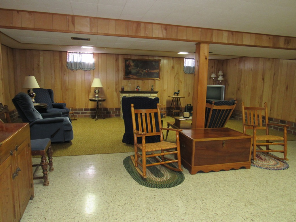 Main level of home has very nice hardwood floors throughout except kitchen & bathrooms. Main level of home includes large eat in kitchen w/ dining area, storage closet & washer dryer hookup. 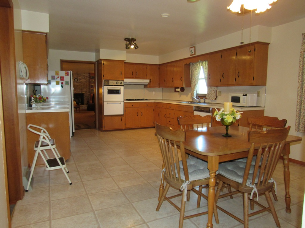 Appliances included: side by side refrigerator, wall oven, gas countertop stove, Frigidaire Gallery dryer & Maytag washer. Living room w/ front entry & large picture window, full wall white brick fireplace w/ built in bookcases on each side w/ storage cabinets below, also built in china closet entering from kitchen. Full length hallway, full bath with tub/shower & linen closet, master bedroom w/ walk in closet & half bath, 2 bedrooms w/ closets. A Beautiful Must See Nice Clean Well Maintained Home. 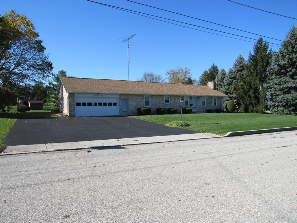 Located in Adams Co., McSherrystown Borough, Conewago School district. Yearly taxes approx. $3,653.